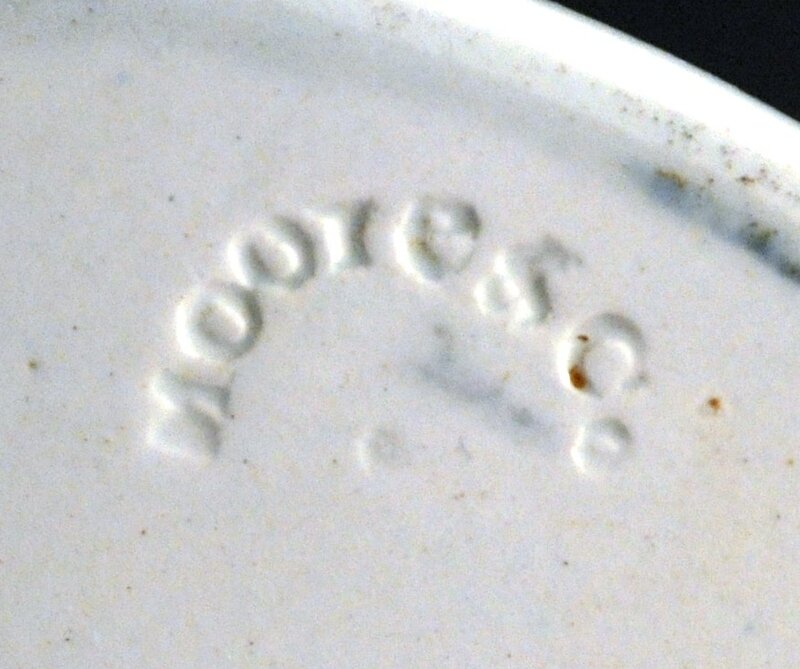 Baker writes that Samuel Moore (1775-1844) and Peter Austin (1770-1863) took over the Southwick Union Pottery and changed its name to the Wear Pottery sometime after 1805. They operated as S. Moore & Co, and that title remained throughout subsequent changes in ownership. 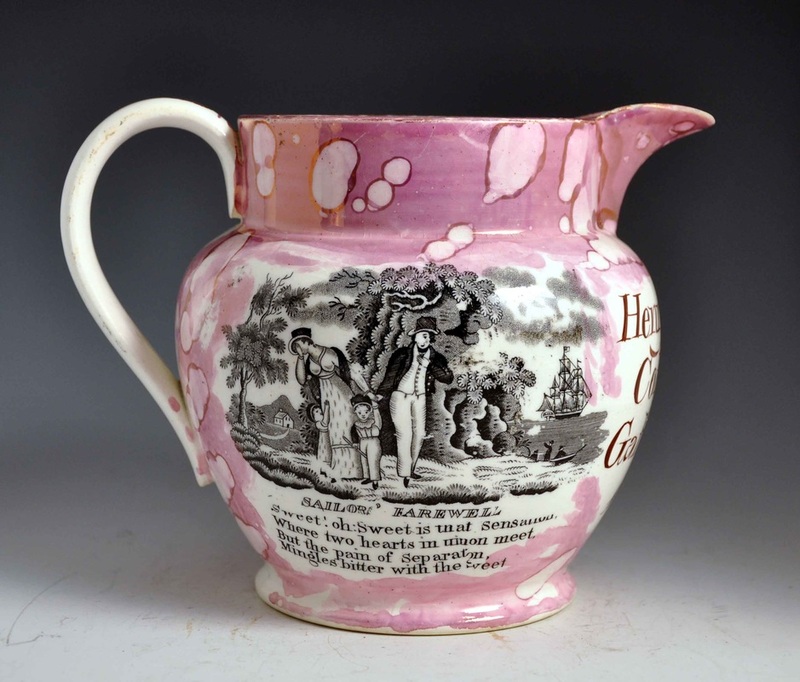 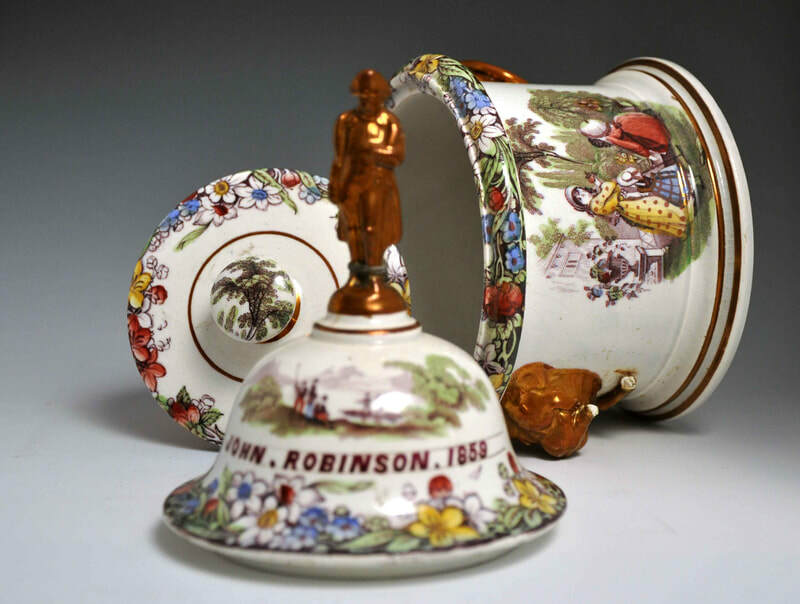 Moore and Austin trained at Newbottle High Pottery under Robert Fairbairns. 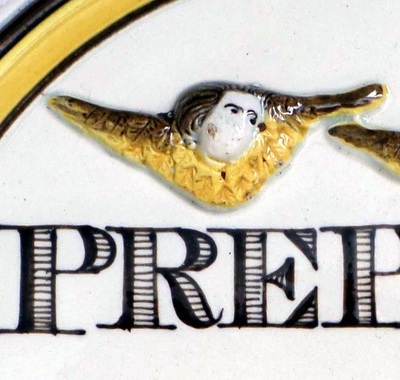 The top left plaque above (c165 mm diameter) has a rare horseshoe 'MOORE & Co' early impress. 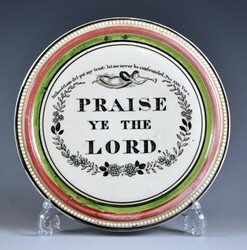 The unmarked plaque top right is of a larger size (188 mm diameter). 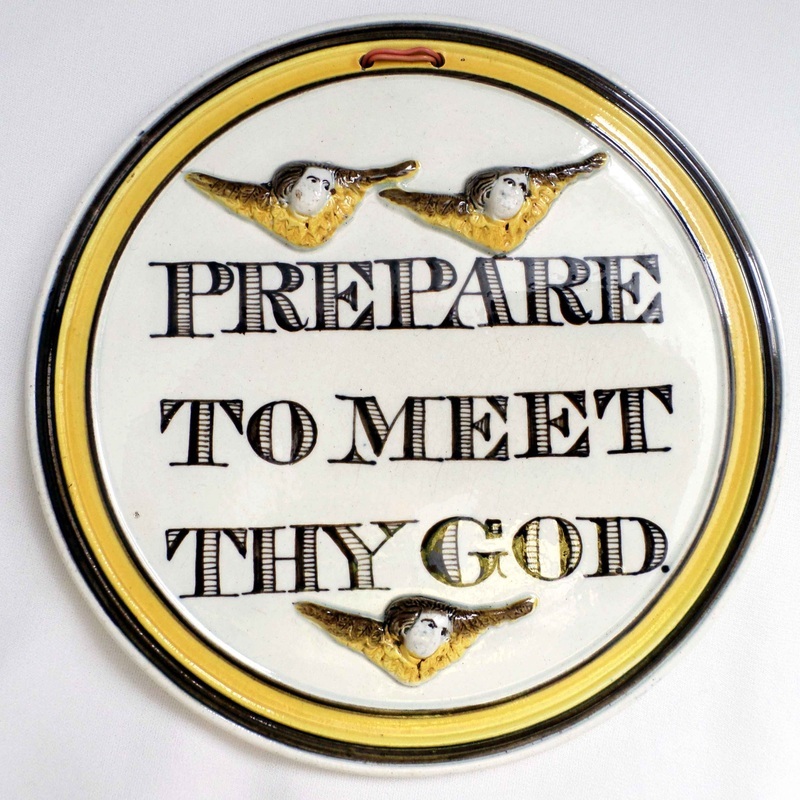 The bottom left plaque has angels or cherubim moulded in relief. 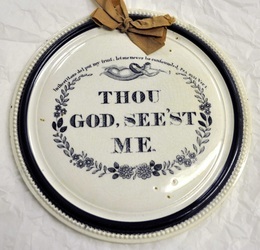 These plaques could be as early as the 1820s. The first plaque is 165 mm diameter, and the second 190 mm. Although unmarked, their decoration is very similar to the marked 'Prepare' plaque above. 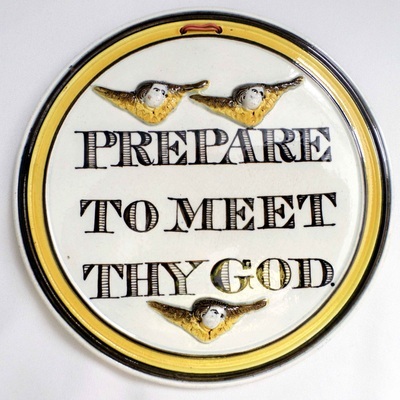 The centre plaque has three moulded cherubim. 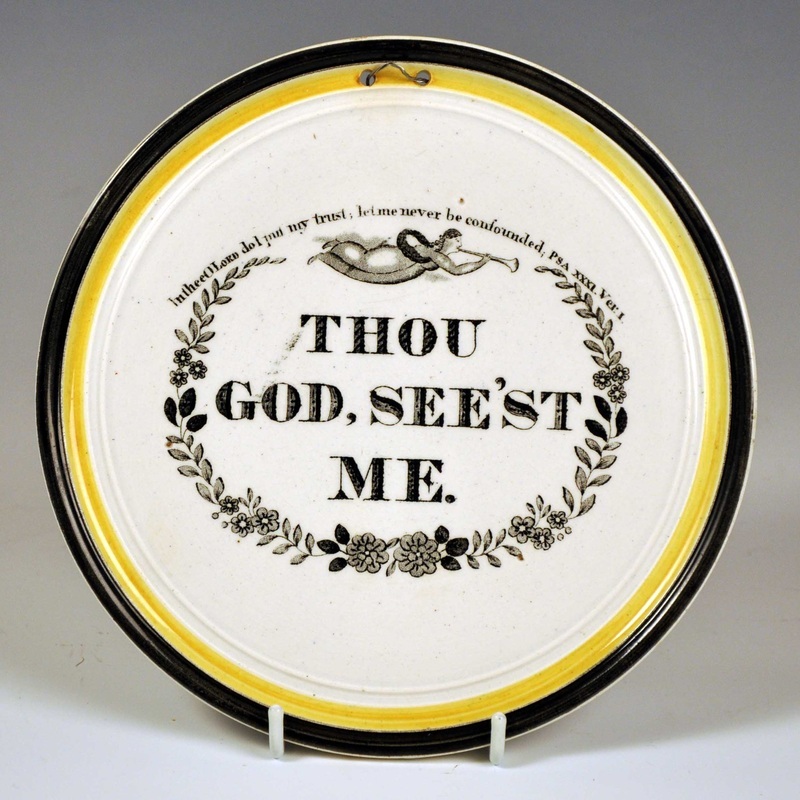 The unmarked plaque on the right is also larger than average (184 mm diameter). 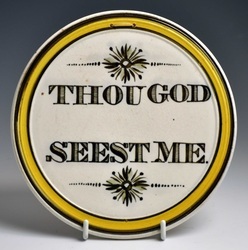 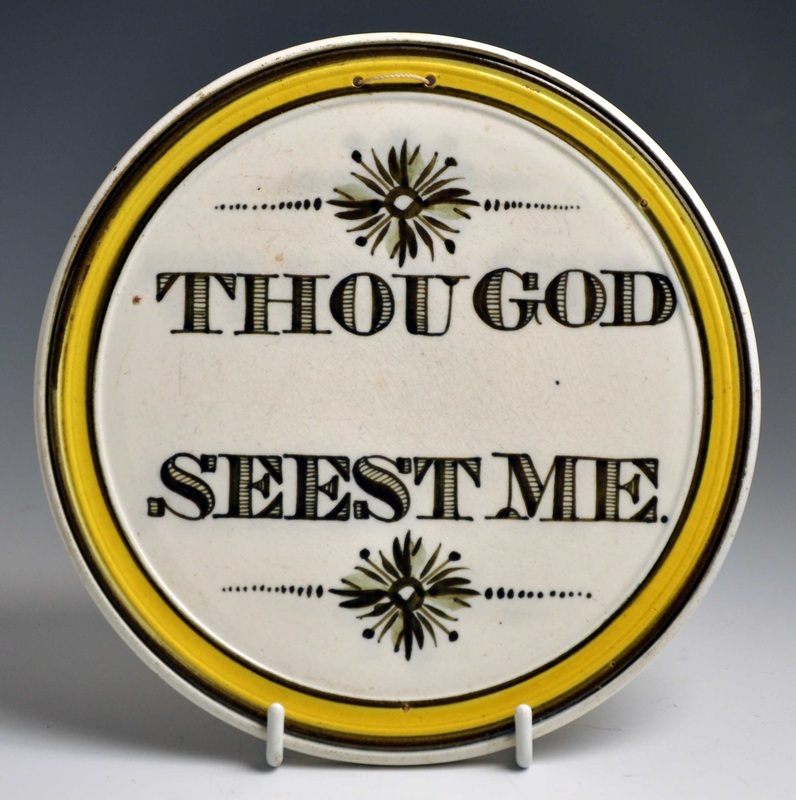 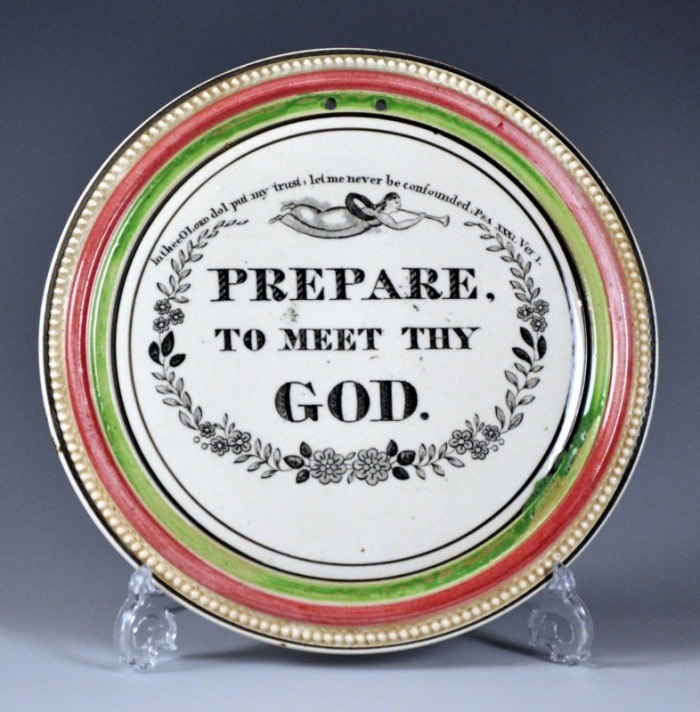 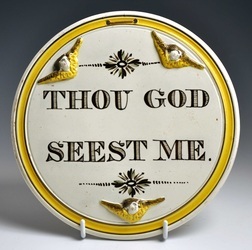 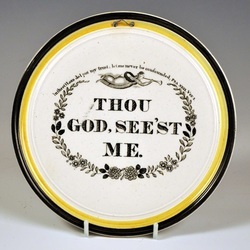 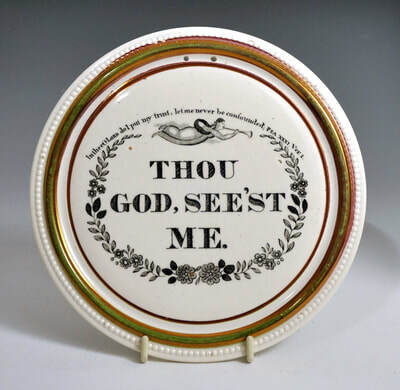 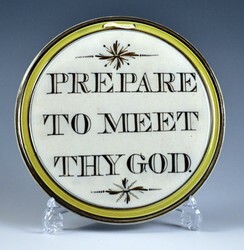 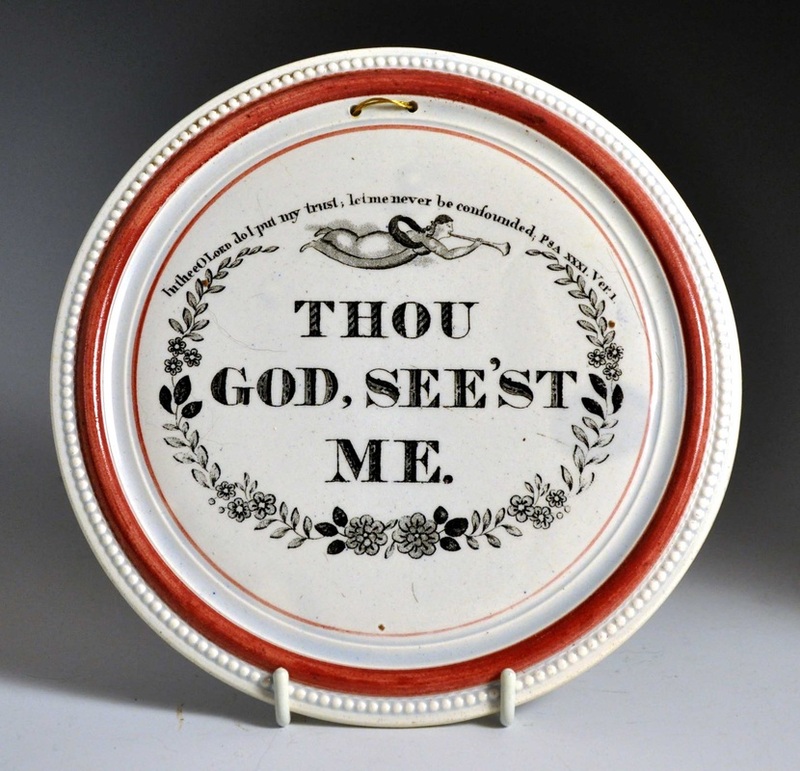 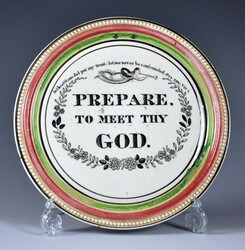 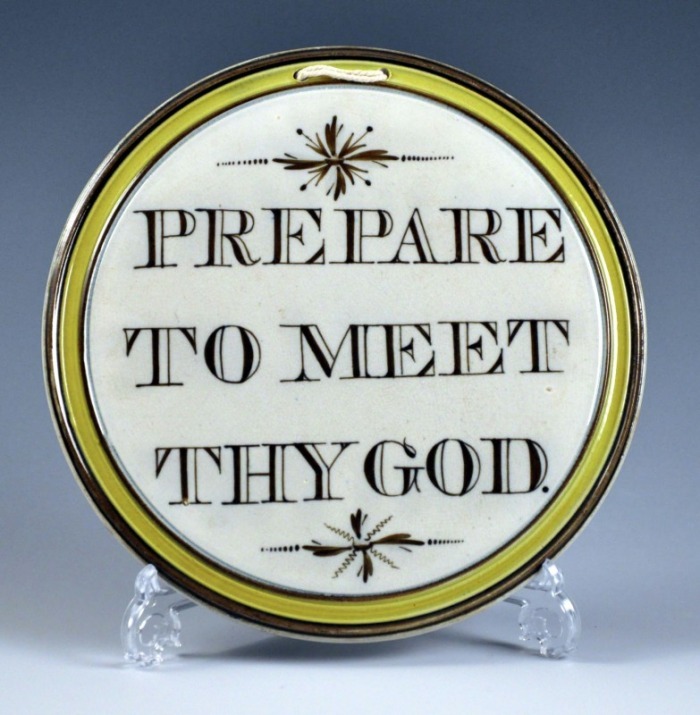 It has a 'Thou God' transfer that appears on later pink-lustre plaques (see Thou god seest me) with the Moore impress. 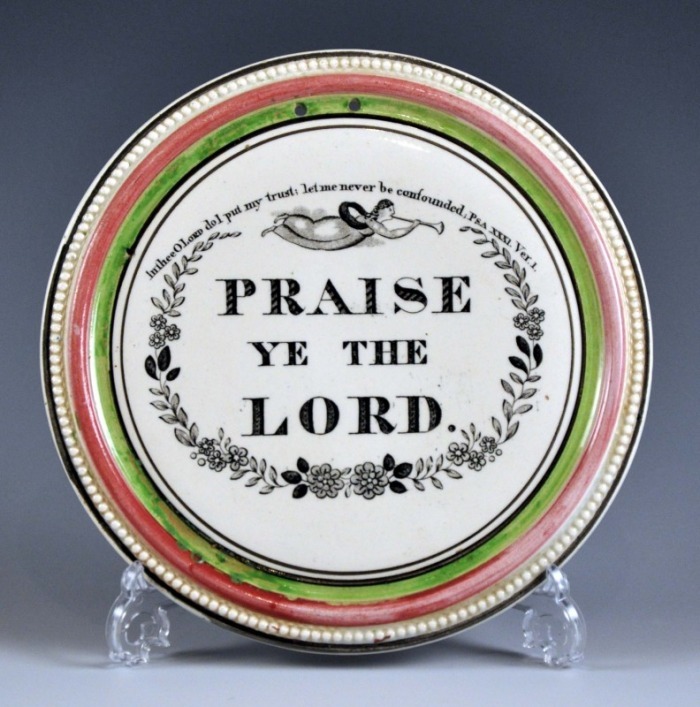 The top left 'Praise ye' plaque is 182 mm diameter, the top centre 'Thou God' is 182 mm, and the top right 'Prepare' plaque is 185 mm.